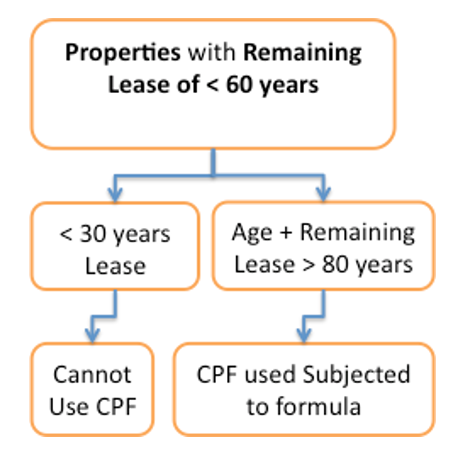 Can I use CPF for an older property with less than 60 years of lease remaining? The question on everyone’s mind is, should I buy a property that has 70 years lease left? Will I be able to sell it if I stayed in it for 10 years? Or for that matter, should I even buy a property that has 60 years or less than 60 years of lease remaining? The answer is yes, if the property lease is more than 30 years. Then you add your age + property remaining lease together, if it is more than 80 years, yes you can use CPF. In this case, 40+50 = 90, hence CPF can be used. The numerator requires, “The remaining lease of the property when owner is 55”. Use 55 years – Current buyer age 40 = 15 years. Remaining property lease when owner is 55 = 50 years – 15 years = 35 years. 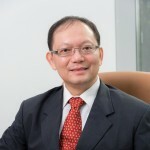 Based on the above scenario, you can still use CPF up to 70% of the valuation limit (VL), mix it with some cash installment, financing the property should not be an issue. While the property comes with shorter lease, lesser CPF can be used, but often these properties also comes with cheaper price, bigger layout and are located in established mature neighbourhood. The potential for selective en-bloc redevelopment (SERS) for HDB flats is there if these units are required for development. For private residential units, the en-bloc potential very much depends on whether Singapore Land Authority can approve a lease top up to 99 years. If a lease top-up is possible (subjected to differential premium and fees), then this property could still be sold en-bloc. Check with a Mortgage Broker if you are unsure. The service is free as they receive a standard fee only if the loan goes through with a bank.